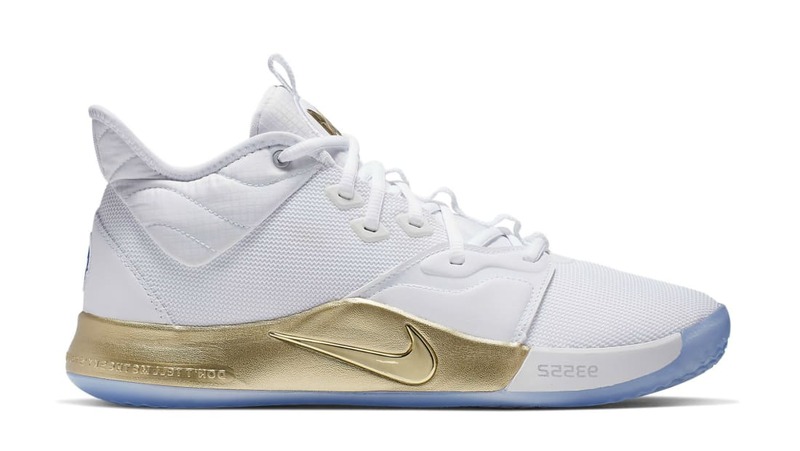 Nike Nike PG3 "Apollo Missions"
Celebrating space exploration and the 50th Anniversary of the moon landing, the "Apollo Missions" Nike PG 3 features a white and metallic gold scheme, complemented by a NASA badge on the heel and icy translucent sole. Release date is Spring 2019 at a retail price of $120. News Nike PG3 "Apollo Missions"